Invitations may be printed or engraved. 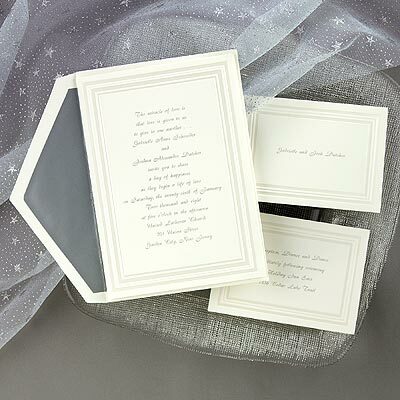 Formal invitations should be mailed 4-6 weeks before your wedding date. Informal weddings, invitations ten days prior.